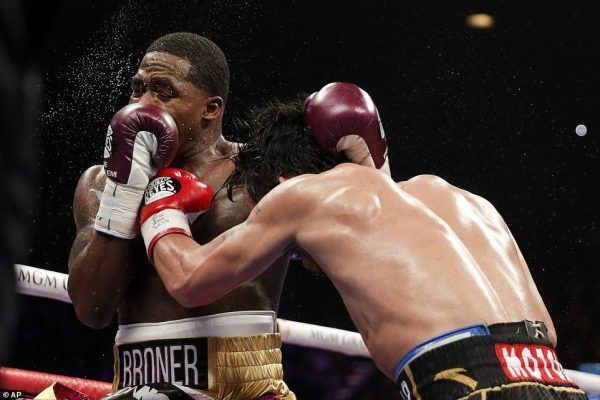 Manny Pacquiao just defeated Adrien Broner to retain his WBA ‘regular’ welterweight title, and here is the fight result and scorecard. The 40-year-old boxer defeated Adrien, 29 with a dominating unanimous decision in front of a sellout crowd of 13,025 at the MGM Grand Garden Arena in Las Vegas. ‘I feel so happy because I did my best in the fight and in training. Our strategy we user a lot and we did a lot in the training camp for this victory. Check out the scorecard from this fight below. Manny is still willing to fight Mayweather.